The Five Year Forward View sets out that to meet rising demand, the NHS must harness the power of information and technology to provide care that is convenient for patients, efficient for the NHS and which get people the right services as quickly as possible. This webinar will provide you with an update on our plans to empower people to take control of their health and care based on the recent publication of our new ‘Empower the Person’ roadmap version 2. Our strategic approach to digital health services involves building some digital platforms and services nationally – NHS Citizen Identification, NHS.UK, the NHS App – while providing standards, guidance and an ‘eco-system’ to make it easy for localities – CCGs, STPs, ICSs – to commission and develop digital services for their own populations. Therefore we want to talk to and work closely with you – our system partners, health tech developers and NHS workforce to achieve these ambitions. 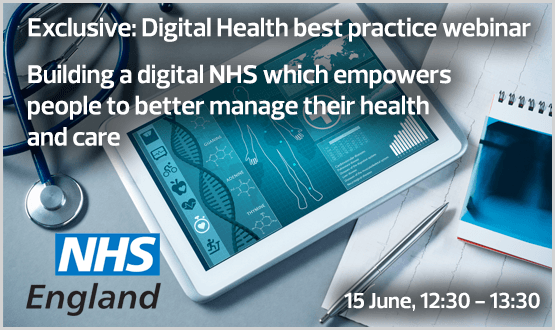 This webinar is for CIOs, CCIOs, CNIOs, transformation managers, commissioners and others involved in the development and implementation of digital health and care services for their patients and citizens, or who have an interest in it. You will understand our vision, roadmap and direction of travel for digital services for patients and people. In particular we will focus on what’s new in our recently published EtP roadmap that you can use now, such as the new NHS.UK API and the Health Developer Network. Plus you’ll hear about progress on the NHS Citizen Identification programme and maternity digital personal health record pilots (digital redbooks). There will be an opportunity to ask questions too.